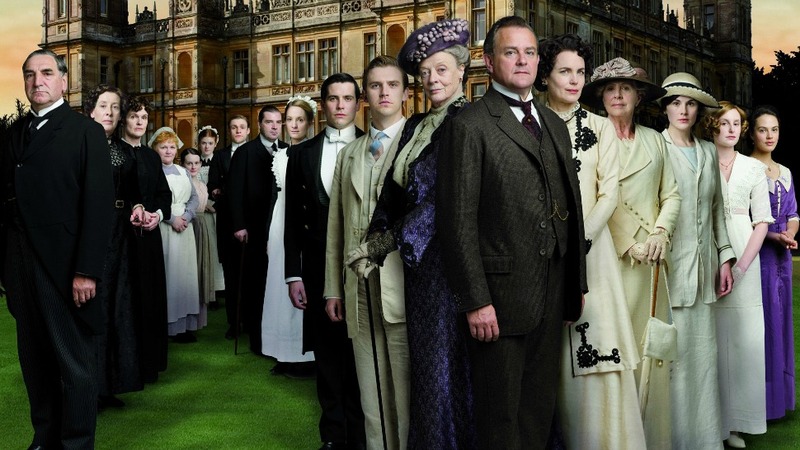 Downton Abbey Season 1 cast photo. The show's principal cast is set to return in a feature film that begins production in weeks. Some huge news today for folks who’ve been missing “Downton Abbey” since 2015! Focus Features announced that production on a feature film reuniting the venerable show’s principal cast will begin this summer. There had been speculation for months on a film based on the series, but today’s announcement marks the first official word on the project. Show creator Julian Fellowes is behind the script for the film. Director Brian Percival (“The Book Thief”, “About a Boy”) is on board to direct. The original period costume drama ran for five series from 2010 to 2015. It chronicled the ups and downs of an aristocratic British family living in the titular mansion facing a rapidly changing world from the end of the Victorian Era to the Great Depression. Where Fellowes will set the film’s story in history is still unclear. It’s also unclear who exactly from “the original principal cast” will appear, as a number of those cast members’ characters were killed off in the course of five seasons. Read the full announcement on the Focus Features site.